Images by Julie Michaelsen Photography. I quite realise that amongst certain circles Emmy London doesn’t need a big elaborate introduction. Indeed with a social media following of 26k across Facebook, Twitter and Instagram this London-based shoe designer has amassed quite the reputation. 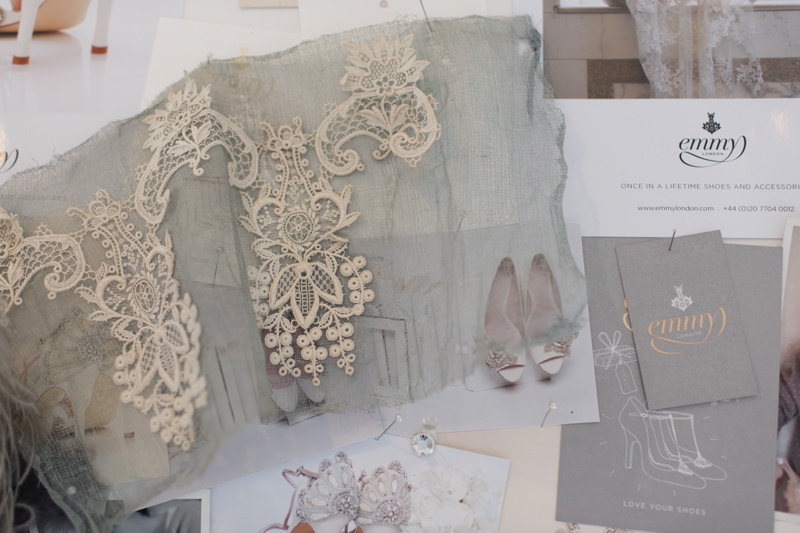 Emmy Scarterfield, Creative Director behind luxury bridal shoe & accessories brand Emmy London, has just celebrated 11 years in the industry and in this time she has become synonymous with timeless elegance and bespoke detailing. However, I also realise that some of you reading this will be at the very start of your planning journey beginning, of course, with the venue. It’s from this decision that every other styling element cascades, so I’m hoping some of you will be falling head over heels (sorry!) in love with not just your dream venue but also your dream bridal shoes too! Emmy London is situated on the first and second floor of a townhouse in Islington, about 10 minutes from Angel. To enter the world of Emmy you must first make your way through the ground floor boutique which is a den of delicious lingerie. I’m totally smitten within the first few seconds of walking into this empire. Emmy London started all because a friend couldn’t find her perfect wedding shoes… “Instead of having the dream day out trying on fabulous shoes we ended up in a bar drinking champagne thinking how terribly depressing the experience of bridal shoe shopping had been!” Emmy explains, “In the end my friend chose some luxe high-street sling-backs that matched her flowers and whilst lovely, they weren’t what she had set out to find…” The idea of compromising on any part of your bridal look just didn’t sit well with Emmy and she spotted the gap in the market. Emmy and shoes go way back, as a little girl she would often put wooden building blocks in her socks to create instant high heels! But, it was working in Italy for luxury brands such as Bottega Veneta and Giorgio Armani where she really honed her craft for design and business. 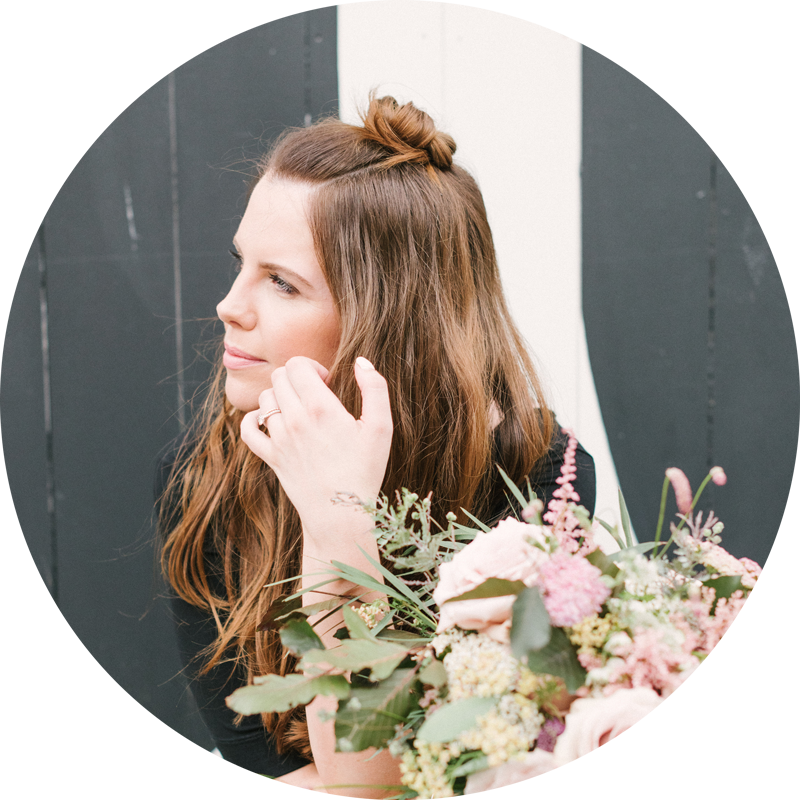 So with this background and her newly discovered interest in the wedding industry she decided to take the mighty leap into the world of start-ups and launched her very own label, Emmy London. “Brides know exactly what they want and so for me it was all about offering a beautiful bespoke shoe where Brides can pick their shape, the heel height that suits them and the colour, material and details…” says Emmy. The bespoke offer is still very much at the heart of Emmy London and this is the top tier of customer service for Brides entering the boutique. You can create a truly one-off pair of wedding shoes and I think that’s pretty darn special. During your consultation you’re encouraged to divulge the style of your wedding, from your chosen dress, through to the décor details and yes even down to the wedding venue! “When a Bride comes to see us we want to know all the details, from the dress, the flowers, the décor through to the style of wedding venue. All of this information gives us a really good idea into the kind of wedding she’s trying to create…” Emmy explains “There’s no point showing a Bride something that’s all out sparkle if she’s getting married in a barn and has hand-crafted her own ribbon garlands, she’s going to want to go for a much softer look…” With venues in mind, Emmy also gives me a sneak peek at the new collection sketches, launching in October 2015, which include a wedge! Perfect for summer garden parties and rustic celebrations! Emmy’s signature hand beaded decorations include Swarovski crystal, Mother of Pearl shell, opaque bugles beads and sequins… “My inspiration never really comes from actual shoes! I’m really drawn to architecture like porticos, windows and gates, anything with intricate patterns. Plus shells and insects play a big part in the detailing…” Each shoe is hand finished with Emmy’s gorgeous branding and a Swarovski crystal on the sole, Brides can even choose a blue crystal for their traditional something blue! In the last few years the brand has grown to include a ready-to-wear collection that’s to die for (in fact throughout the interview I can’t take my eyes off a pair of hot pink beauties!) The ready-to-wear offer means that for any last-minute Brides looking for their final accessories, Emmy will be able to help as she stocks many sizes and styles. In fact, you can also add a few additional flourishes to some of the styles should you wish and this is all done by the talented in-house team. Oh and if the Mother-of-the-Bride is reading this then there are court shoes aplenty. In various shades and styles, visiting the Emmy London boutique is the perfect Mother-Daughter outing! Beautiful beaded and embellished belts, bags and hair accessories have all been added to the range and Emmy London is very much top-to-toe styling so all you need to have chosen is the dress. In fact, Emmy is wearing the most incredible necklace I’ve ever seen! I do also just have to mention the cutest of baby shoes. Truly adorable, I suddenly find myself longing for a little one of my own just so I can buy these ruddy gorgeous shoes! There’s a soft grey suede pair for the boys and a pair of golden leather Mary-janes for the girls (which also come in ivory). I then find out that there’s a rather famous Royal brother and sister who have a pair of these delightful little pre-walkers! Emmy’s Top Tips for finding your Bridal Shoes! Have a look at the shoes you have in your closet and there’ll probably be a common ground, whether it’s a heel height or the toe shape – this will give you an idea of your comfort zone and we encourage Brides to stick within that. Being a Bride is about being you but the best you and if you’re not comfortable it really shows. That being said, do have a open mind! Sometimes what you imagine you want, much like the dress (or boy!) actually isn’t want you end up going for. Don’t bring an entourage! Firstly the Emmy London boutique is quite an intimate space, but it’s also quite nice to focus on your thoughts and not the opinions of six of your friends. Bring your Mum and a trusted-friend and relax into the experience. Or if you fancy, just come on your own! Lastly, if you’re having your nails painted a certain colour on the day then it might be worth doing this for the consultation so you can see how various colours work with your chosen shade. Also, don’t wear black tights! Wear something that you can pull or roll up so you can get the idea of how the shoe will look. You can view the bespoke service and ready-to-wear collections online and you can also find Emmy London on Instagram, Twitter, Facebook and Pinterest. Thanks so much to the gorgeous Julie Michaelsen Photography for taking these snaps of my day out and of course to Emmy for making me feel completely at home! When can I come back please…?